I am having trouble reinstalling the app (iOS/Mac/Android). Same as above, your purchase is linked to the Google Play Store account you originally used to make the purchase. You must be logged into the Play Store with that same account in order for it to recognize that you have already purchased the app. 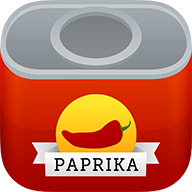 If you have ever requested and received a refund for the iPhone, iPad, or Mac version of Paprika, please bear in mind that Apple no longer permits refunded apps to be updated or reinstalled, and you will receive the following error message: This update is not available for this Apple ID either because it was bought by a different user or the item was refunded or cancelled. As far as we can tell, if an app has ever been refunded, Apple will not allow you to re-purchase the app using the same Apple ID that received the refund. Instead, you will have to create a new Apple ID and re-purchase the app under the new Apple ID.